Three health trusts which run hospitals in East Yorkshire and Lincolnshire have higher than expected death rates among patients, a report by experts suggests. The Hull & East Yorkshire, Northern Lincolnshire & Goole and United Lincolnshire trusts are among 12 in England named in the Dr Foster guide. They were all "doing badly" in at least two of four key measures of mortality, the private research group said. All three trusts said they had more work to do to improve rates. The Dr Foster report uses four different measures, including deaths after surgery and among those with low-risk conditions, to help assess which hospitals are falling outside of what would be expected. "These measures are to be used as a warning sign of a risk that poor quality care may be leading to a higher than expected mortality," the Dr Foster report said. "They are not measures that definitively state that poor quality care is happening. Rather, they are a signal that further investigation should be carried out." Health Secretary Jeremy Hunt said local managers in those areas should investigate. A spokesman for Northern Lincolnshire & Goole Hospitals Trust said: "Mortality is the trust's number one quality priority and patient safety is of the utmost importance to every member of staff. "The trust's higher-than-expected mortality rates are an issue for the whole health community and we are working hard... to make sure that all possible factors are addressed." It stressed that it was "confident that clinical safety in our hospitals remains high" and its mortality figures would improve. 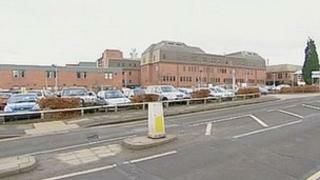 The Hull & East Yorkshire trust was given a particularly bad rating for the number of deaths after surgery. A trust spokesman said: "We take the issue of deaths following surgery very seriously and we are analysing all of our systems and processes to establish where we can improve. "The main thing to say though is that we are sure that patients have no cause for concern. "Our trust is one which sees a lot of extremely frail and poorly patients and, therefore, the risks of operating on these patients are much higher." On mortality rates in general, the trust said "we still have a lot of work to do" but it believed "we will continue to show improvements in future reports". United Lincolnshire said: "Our mortality figures have improved significantly in the last year. "Although this is higher than we would like, it does reflect an improvement in our position since last year, and shows that our pace of improvement to reduce mortality is faster than the rest of the country. "There is still more work to do," the trust said, adding that it was focusing on key improvements such as "a plan for every patient" and daily ward rounds by senior doctors, including at weekends.